A single Black Lotus herb is worth anywhere from 1 to 300 gold depending on the buyer and reason that they are buying. I’m honesty not sure why players spend a lot of gold on Black Lotus but you can be sure I’m not going to ask questions when I sell one of these for a hundred gold. It sells best in stacks of 1, 5 and hardly 20. This herb is unlike any other in that there is only found in a few zones and there is only 1 found in each zone every 60-70 minutes. 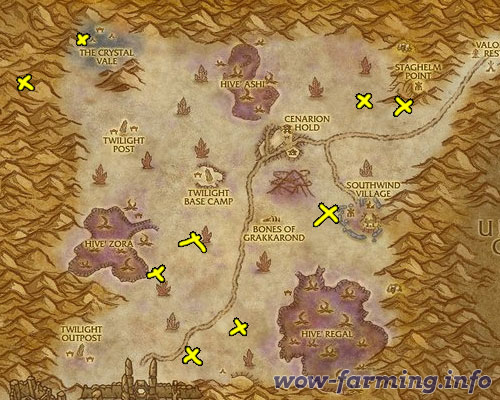 So in order to farm this you will want to visit each zone where it spawns and visit each spawning point until you find a single lotus, once you find one mark the time down on a piece of paper and move to the next zone. Don’t return to this zone until 70 minutes has elapsed. Update: You can make a lot of gold with Black Lotus, but if you want to step it up and make thousands of gold you should read my personal favorite guide. The best place to farm Black Lotus is in Silithus, or at least the first place to farm it. There are exactly 10 locations where this can spawn so check each of the ten locations 1 by 1 until you find one. When you find out write down the time and head to the next zone. 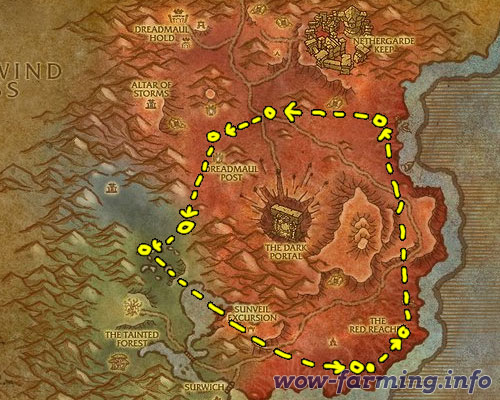 The next best place to farm Black Lotus is in Burning Steppes where there are another 10 spawning points. Just like in Silithus once you find a lotus write down the time and move on to the next zone. The third place to find Black Lotus is in Blasted Lands. 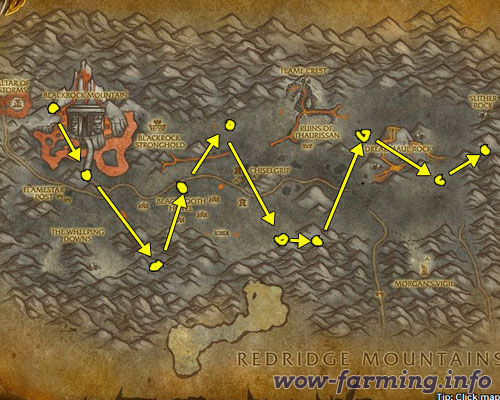 Head to each point one at a time until you find an herb, write down the time and carry onto the next zone. ← WoW Started Hard, Got Easy and Now it’s Expensive.